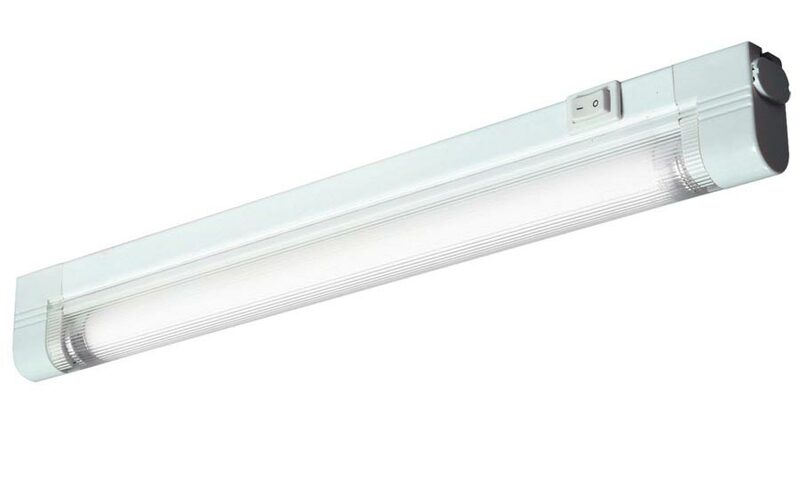 This fluorescent 8w slimline kitchen under cupboard strip light with T5 tube is bright, energy efficient and practical. Designed to fit under kitchen cabinets to illuminate the worktop or as cupboard display lighting. White 343mm body with on/off switch and frosted curved diffuser containing the supplied white T5 tube to illuminate your kitchen worktop with 380 lumens of white light.